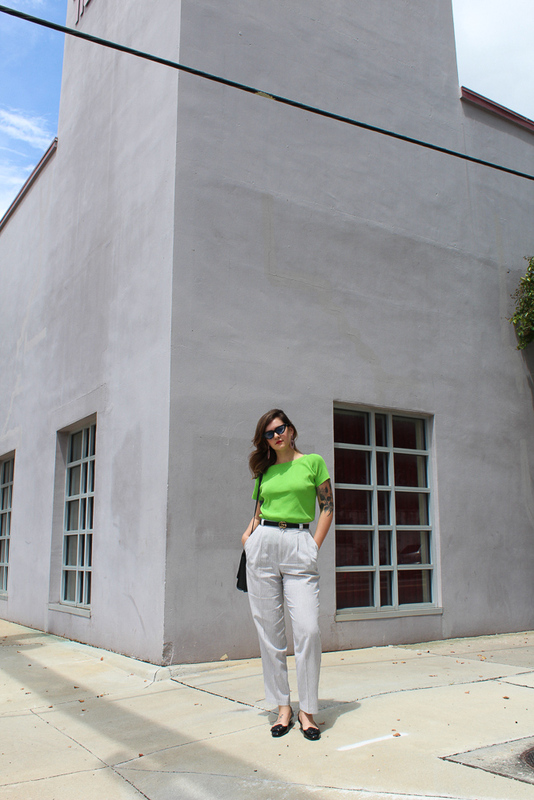 Outfit details: vintage trousers and top, Prada patent heel from eBay, Everlane Petra bag, Forever 21 sunglasses. 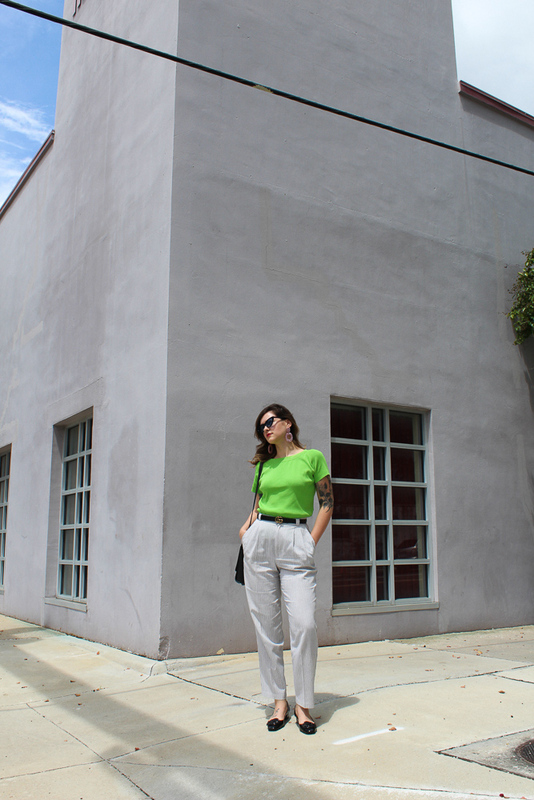 For some reason this outfit/my style inspo lately reminds me of retirees in the 1990s in South Florida. Splashy colors like this leaf green top, or magenta and cobalt blue, too. My style seems to have come full circle because I now like everything that I considered the height of tackiness when I was 12.